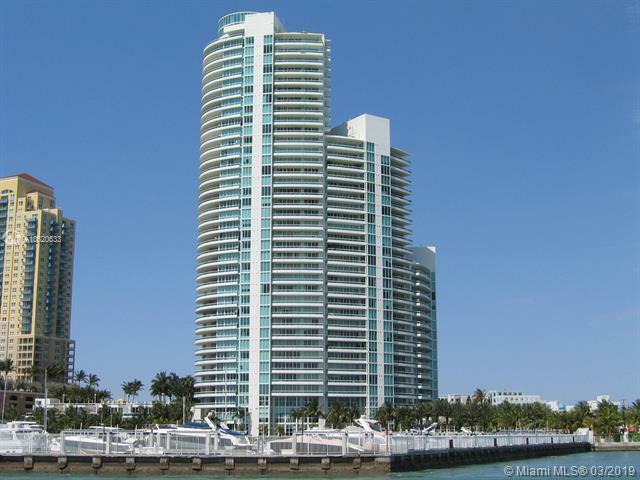 Enjoy living in the heart of Sofi, at the highly sought after Murano Portofino. This spacious and bright 1 bedroom, 1.5 bathroom unit has marble flooring throughout, floor to ceiling windows, open kitchen with high-end appliances and private lobby entrance. The balcony overlooking the garden greenery is the perfect space for peace and tranquility while offering views of the city and marina beyond. Full-service building amenities include an expansive state of the art fitness center/spa, tennis courts, 24 hr security, concierge, pools, valet, and beach club. 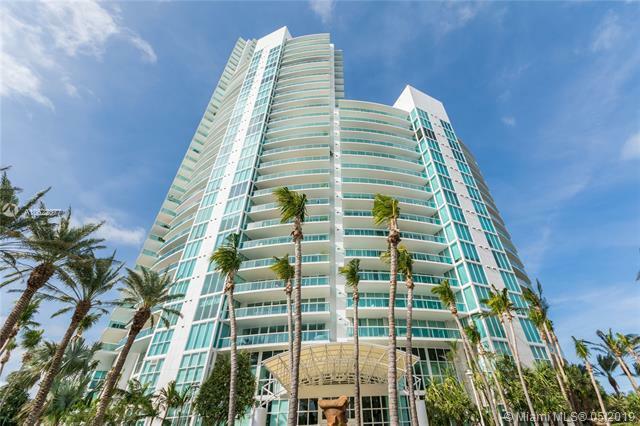 Located in the most desirable neighborhood of South Beach, within a short distance to the beach, South Pointe Park, and SoBes hottest restaurants: Prime 112, Joes Stone Crab, Milos, Planta, Pura Vida and more. Fully furnished. One of a kind unit completely remodeled and professionally finished by renown Design Solutions Brazilian Designers and Architects. 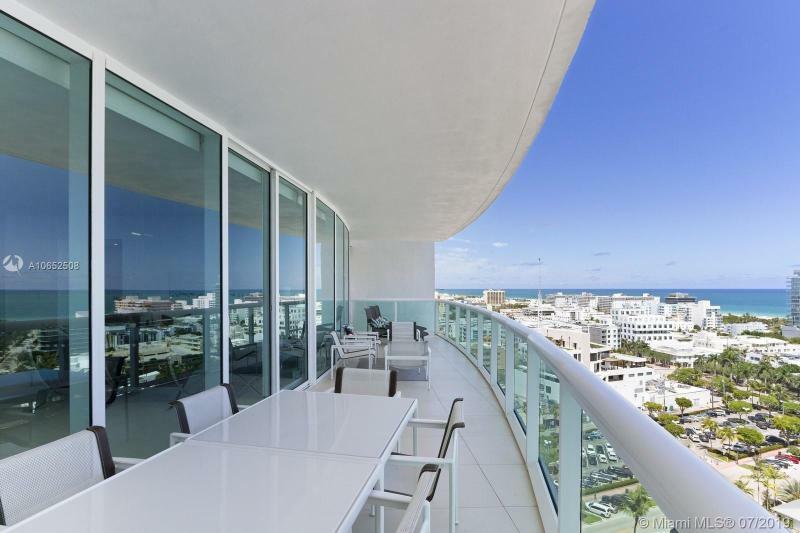 This water facing unit has unparalleled views with 1m spent in upgrades! Spacious flow through floor plan unit offers two terraces, 3 full bedrooms and 3 ensuite bathrooms, top of the line appliances and Miacucina kitchen. Mesmerizing views of the Ocean, Bay, Downtown and Miami Beach skylines. You wont find another unit quite like this! Stunning renovated luxury penthouse ready to move in, beauty exceeds expectation with its breathtaking view.Private elevator, Sonos system, iPad & Apple TV in every bedroom/bathroom, 65 TVs, Lutron blinds, a/c withremote, fully equipped appliances, security camera, gym, personal training available, sauna, Spa, tennis court,concierge, La Piaggia restaurant access and Nikki Beach access with complimentary beach chair, umbrella, water and valet parking. 3rd bedroom can be used as an office or bedroom. ***Penthouse next door to 2803 is available for Sale as well as a package deal. Rare opportunity to own 2 penthouses on the same floor. Call Listing agent for more info. A boaters paradise, adjacent to South Beach Marina. Enjoy the view of cruise ships passing by through your unobstructed 270 degree view from Biscayne Bay Skyline in between. Private elevator, 2 pools, 2 tennis courts. First-class fitness center, spa and Beach club. A short and pleasant walk to the beach and the best restaurants in the area, make this unit unique any other in South Beach. Currently, all amenities and social areas are being renovated.